A notorious rogue landlord must pay £1,500,000 or spend nine years behind bars after justice caught up with him at Harrow Crown Court last Friday (30 November). The court found that Vispasp Sarkari had flouted planning rules for more than five years - converting properties across Brent and Harrow into substandard flats without planning permission. Sarkari, 56, of Hawthorne Avenue, Harrow, had been cramming tenants into cramped and dangerous accommodation - charging them extortionate amounts in rent. His criminal enterprise included one property in Brent illegally converted into eight substandard box-room bedsits and four more similarly converted in Harrow. In 2012 Mr Sarkari had received a confiscation order under the Proceeds of Crime Act 2002 for £303,112 which was paid in full. Despite leaving the courts in 2012 with a hefty bill, he continued in the same vein, having no regard for the law as he continued to flout planning laws and raked in large sums of cash from his unlawful enterprise by continuing to rent out the same properties which were in breach of planning enforcement notices in 2012. Mr Sarkari also has a string of previous convictions which relate to properties he rented out. On 6 August 2008 at Harrow Magistrates Court, he was prosecuted for seven fire safety offences relating to a property on High Street, Wealdstone, contrary to the Regulatory Reform (Fire Safety) Order 2005. He was fined £400 for each offence totalling £2,800 and ordered to pay costs totaling £7,746. On 22 September 2009 at Brent Magistrates Court, he was prosecuted under section 179 of the Town & Country Planning Act 1990 for failing to comply with an enforcement notice which related to another property he owned on London Road, Wembley. He was fined £5,000 and ordered to pay costs totalling £739.50. During January 2015, he was prosecuted under regulation 36(4) of the Gas Safety (Installation and Use) Regulations 1998 by the Health & Safety Executive for gas safety breaches at a property in London Road, Wembley. He was fined £10,000, was ordered to perform 150 hours community service and was given a 12 month suspended sentence. On 14 December 2017, he was prosecuted at Willesden Magistrates Court in relation to one of several properties he owns on London Road, Wembley HA9 7ET. This prosecution related to 6 offences for breaches of a selective licence that was issued by Brent Council and the breaches were contrary to section 95(2) of the Housing Act 2004. These breaches included fire safety hazards and a cockroach infestation. He pleaded guilty and was fined £13,400 and ordered to pay £1,545 in costs. "Slum landlords won't be tolerated - plain and simple. If you ignore planning laws or leave tenants to languish in poor conditions, then we will find you, we will take action in court, and we will win. 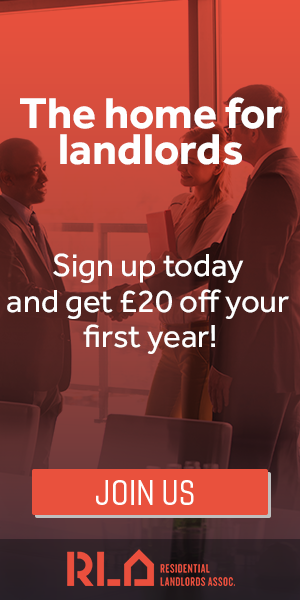 Anyone we find flouting planning or exploiting renters will feel a deep hole in their pockets after we've taken them to task." Sarkari was also separately fined £12,000 and ordered to pay both councils' costs in full. It's believed that he may have several further properties across the two boroughs - making him responsible for a significant proportion of illegal flat conversions and HMOs blighting North West London. "Justice means taking the ill-gotten gains off this slumlord millionaire. This is a man who thought he couldn't be stopped. He was wrong, and thanks to our joint work with Brent Council, Sarkari's criminal venture is finished. "But he's not the only rackrent landlord out there, wrecking lives and ruining our boroughs by running illegal flats and HMOs. My message to the others is this: we'll never stop, we'll never give up, and when we catch you, we'll punish you too." Extensive inquiries by both councils established the extent of Mr Sarkari's criminal activity. Brent Council also secured a restraint order against Mr Sarkari which means that he cannot dispose of his assets before the order is paid in full. If he doesn't pay up, then the council can force the sale of his properties. In sentencing Mr Sarkari, Judge Wood described the breaches as "a flagrant abuse of the Town and Country Planning legislation". She went on to thank everybody involved for their hard work in putting the case forward. Harrow and Brent were represented by Counsel Mr Edmund Robb of Prospect Law. He said: "The Confiscation Order of almost £1.5m which has been made in this case represents major recognition by the Crown Court of the personal misery and amenity damage which is caused by blatant and longstanding failures by developers to comply with planning enforcement notices issued by local authorities in London.